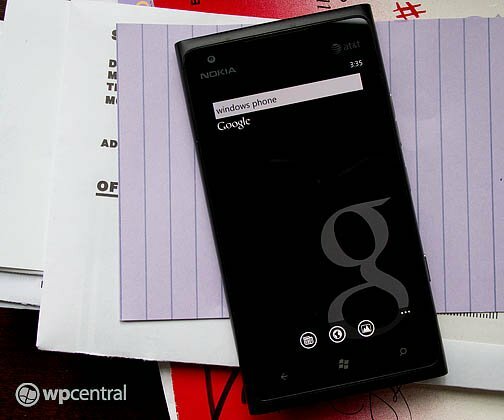 For those who prefer Google over Bing, MetroG is a Windows Phone app may be an app worth giving a try. 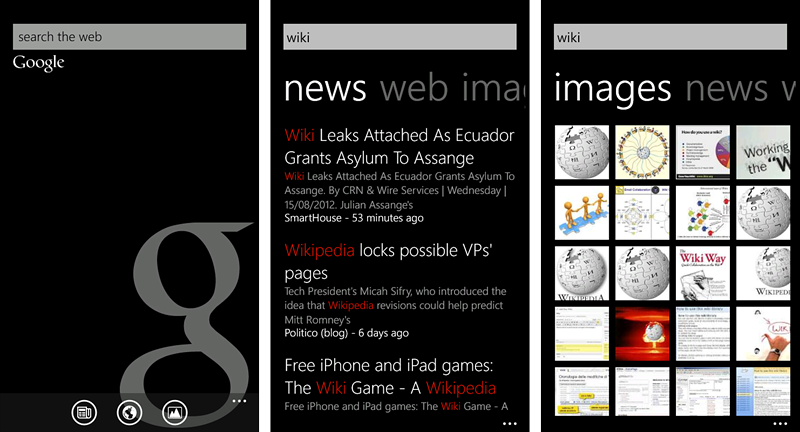 MetroG is a search app for your Windows Phone that reaches out through Google to search the web for all your keywords. MetroG is a nice looking app with a conservative appearance. The main page has your keyword search field up top and three button search options (news, web and images) down below. On paper, MetroG isn't a bad search application but its performance seemed to fall a little short. When you conduct a keyword search, you will have the predictive terms drop down from the search field as well as predictive typing above the keyboard. Your results are returned across three pages, web, images and news. If you tap one of the search buttons on the main page, that category of results will pop up first. The other two pages can be viewed by side swiping at things. Images are presented in thumbnail fashion and full size images can be viewed by tapping the respective thumbnail. Images can be saved to your Windows Phone Pictures Hub. Where MetroG falls short is with the search results. I found the search ability of MetroG to be very spotty. Terms like Windows 8, Android, Middle East, Politics and Earth yielded no results in the New and/or Web category. Every now and then you could search the term again and get results but that just felt like too much work. MetroG has potential but falls a little short with its performance. MetroG is a free app for your Windows Phone so you won't be out much if you give it a whirl. Who knows, you may have better luck at it. You can find MetroG here at the Windows Phone Store.